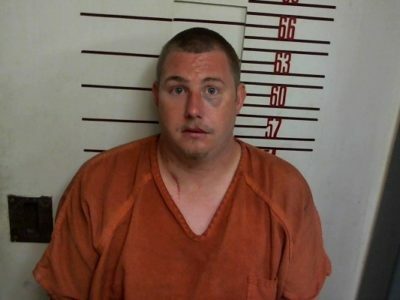 A Rockbridge man accused of stabbing his two uncles to death last month appeared in Greene County court this morning. Twenty-eight year old Adam Gowin, of Rockbridge, appeared in Greene County court for a preliminary hearing this morning alongside Public Defender Tom Piper. Gowin is facing six counts of alleged first degree murder for the deaths of 55-year old Ronald Plummer and 54-year old Billy Plummer, both of Rockbridge, both uncles to the defendant, on September 9th. Prior to his first appearance on September 11th, Greene County State’s Attorney Caleb Briscoe filed six counts of alleged first degree murder charges against Gowin – three counts each for both victims. Gowin appeared in front of Circuit Judge James Day this morning for his preliminary hearing. State’s Attorney Briscoe explains what took place during today’s hearing. According to Judge Day, if Gowin is found guilty of first-degree murder for one of his uncles, he will face between 20 and 60 years in the Illinois Department of Corrections followed by 3 years Mandatory Supervised Release. If Gowin is found guilty of first degree murder for the deaths of both of his uncles, the sentence would immediately become imprisonment for the rest of his natural life.